With the star-studded Jodhpur One World Retreat coming to an end on Sunday afternoon, one of its most memorable parts was the spectacular performance by multiple Grammy-winning singer-songwriter Sting. The weekend retreat was hosted by Maharaja Gaj Singh II to garner funds for his Indian Head Injuries Foundation (IHIF). Known for his philanthropic work, the musician performed for an hour at the Umaid Bhawan Palace on Saturday, Day Two of the event, as a special contribution to the humanitarian cause. 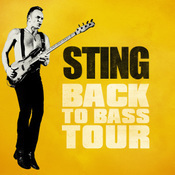 Sting was accompanied by his band-mates and Dominic Miller, his guitarist of 23 years. The musician performed hits not only from his solo career but compositions from his career as the lead vocalist of his band, The Police. The line-up included award-winning numbers - 'Roxanne', 'When We Dance', 'Fragile' and 'Every Breath You Take'. Besides explaining the significance of each melody, he dedicated the song, 'When We Dance', to his producer-actor wife Trudie Styler, who was seated in the audience. The musical evening was part of an exclusive sit-down dinner in the sprawling back lawns of the palace. It was attended by celebrities from across the world, many of whom had specially flown down just for the evening. As Sting belted out melody after melody, most guests left their seats and started dancing. A few lucky people even got invited to the stage to shake a leg with the musician. Without digressing from the cause of head injuries, Maharaja Gaj Singh II gave a heartfelt speech before the performance began. Nita Ambani gave a special word of thanks for the retreat and extended full support to the endeavour. Prince Andrew, the Duke of York, also drew attention to the necessity of helmets, a safety measure a lot of Indians ignore.